If you are an adventure and nature enthusiast at heart, then there is no better place to visit than Chile. From the tall volcanic peaks of the Andes mountains to the ancient forests of Lake District, Chile has a lot to offer. 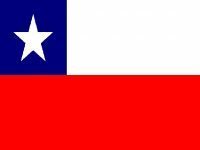 So why not plan an adventure to Chile, while TCE looks after your currency exchange matters! The Peso is the official currency of Chile and its symbol is ‘S’ with either a single or double bar superimposed on it. The current Peso has been in circulation since 1975. A single Peso is divided into 100 centavos or cents. TCE offers its customers superior exchange rates, not offered by any other bank or exchange bureau in Canada. There are no hidden charges and customers do not overpay. Our specialized and expert services ensure customer satisfaction. If you are short on time or are busy and unable to go personally to our store, then you can use our online ordering system. Simply make a payment using your Interac debit card and pick up your currency from any of our stores. You can either pick up your currency from any of our stores or avail our secure home delivery option. Your package is delivered through Canada Post within two business days.